Eastern District federal prosecutors said they plan to retry the Manganos on all the charges they were indicted on. 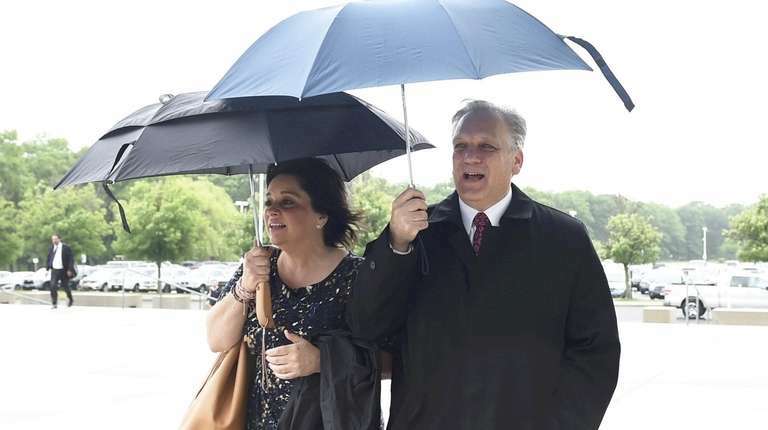 A federal judge on Thursday set Oct. 9 as the date for the retrial of former Nassau County Executive Edward Mangano and his wife, Linda, on corruption charges. Azrack declared a mistrial in the case on May 31 after the jury foreman sent a note saying he wished to be excused because he could no longer carry out his duty after nine days of deliberations. 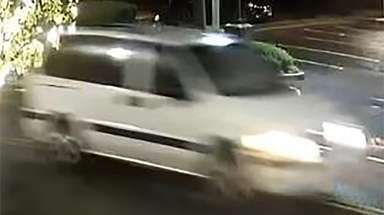 Prosecutors Catherine Mirabile and Lara Treinis Gatz said they plan to retry the Manganos on all the charges they were indicted on. The charges involved what officials asserted was a political corruption case, involving an illegal stream-of benefits scheme between the Manganos and once-prominent restaurateur Harendra Singh. 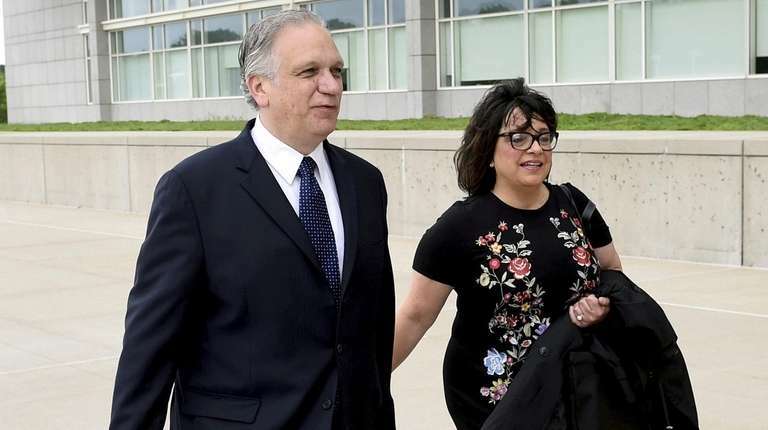 The prosecutors said that the Manganos got a series of lucrative items and a more than $450,000 no-show job for Linda Mangano. In return, Singh got two Nassau County contracts worth more than $200,000 each, along with Edward Mangano’s help in pressuring former Oyster Bay Supervisor John Venditto to get the town to provide Singh with $20 million in indirect loan guarantees, prosecutors said. Venditto, who was a co-defendant in the trial with the Manganos, was acquitted on all 27 corruption-related charges he faced by the jury of seven women and five men before the Mangano mistrial. Venditto still faces a possible trial on state corruption charges. The Mangano-Venditto trial lasted 12 weeks, with the government presenting 60 witnesses and about 1,100 pieces of evidence. Defense attorneys presented no witnesses at the trial. Defense attorneys told jurors Venditto had done nothing wrong, and they insisted prosecutors were also mistaken about the county executive having done anything illegal. The benefits Singh provided the Manganos were based on their longtime friendship, the defense claimed. At the retrial, Edward Mangano again would face charges, including federal program bribery, honest-services wire fraud, extortion and conspiracy to obstruct justice. Linda Mangano is charged with conspiracy to obstruct justice, obstruction of justice and making false statement to the FBI. The Manganos have pleaded not guilty to the charges. Edward and Linda Mangano declined to comment after the brief court hearing on Thursday morning. In addition to the alleged no-show job, prosecutors said the benefits the Manganos got from Singh included tens of thousands of dollars in vacations and free food; two chairs worth more than $3,000 each; a $7,300 watch for a son: and hardwood flooring for the master bedroom in their home.